April is the coolest month, as long as that's when you're having your awesome wedding. Our Chicago-area wedding DJs had some great chances to watch couples and their guests burn up the dance floor last month - but which songs were hottest? 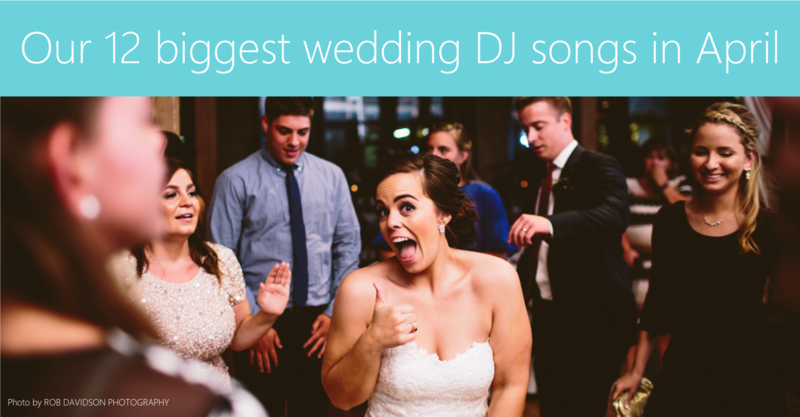 Each Monday, I ask our Chicago-area wedding DJs the same question: Which songs killed it on your wedding dance floors this weekend? It seems the 90s were back in a big way this month, because this is how they answered for April 2017.